La Rioja is without a doubt Spain’s most beautiful wine region and an absolute treat for the food and wine lover! The landscapes are of gentle rolling vineyard-covered hills, pretty medieval hamlets and the backdrop of the majestic Cantabrian Mountains. Rioja is pristine and unspoiled, even with all of the major investment that has come into this wine region in recent years including the spectacular Frank Gehry designed hotel at the Marques de Riscal winery. 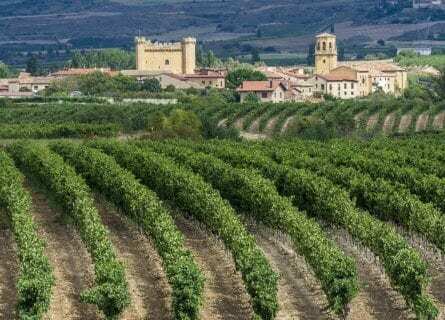 We have designed this luxurious La Rioja Wine tour to give you an opportunity to experience the best wine estates, the best restaurants, the best scenic drives, and the most picturesque villages. 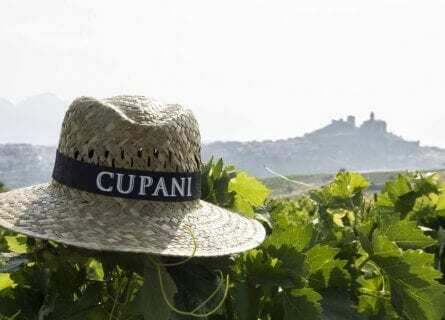 The Riojan wines are legendary, and you are going to taste some magnificent wines from high-end classics like Torre Muga and Rioja Alta to contemporary masterpieces like Marqués de Murrieta’s Dalmau and Hermanos Peciña or breathtakingly beautiful historic sites like Heredad San Andres Cupani. You will visit a range of wineries including tiny, historic family run wine caves (called “Calaos”) as well as ultra-prestigious estates. And you will have many memorable gastronomic experiences at a mix of restaurants, from cozy and authentic Riojano to creative and innovative Basque cuisine. Traditional dishes you might taste on this tour include “Gallina en Pepitoria a la Riojana” (a colonial recipe, using slow cooked hen in a white wine sauce), “Perdiz Asada al Tinto” (roast partridge flambeéd in Spanish brandy before being cooked in wine) and “Patatas a la Riojana” (country potatoes cooked with delicious Chorizo sausages, Paprika and “Guindilla” chili pepper). Your romantic accommodations for the tour will include the cutting edge wine hotel at Marqués de Riscal, in a small wine village with views of the vineyard-covered valleys surrounding it; a cute stone townhouse set right in the main square in medieval Laguardia, Los Parajes; and a completely charming 17th century inn in Cuzcurrita, Hospedería Teatrisso, run by a passionate young couple who have updated this mansion with love and style. If you are looking for a luxurious wine tasting break in Spain, contact us for information on this superb tour. Arrive at Bilbao airport, a beautiful, white geometric structure designed by famous Spanish architect Santiago Calatrava. You will be collected by luxury Mercedes and your elegant driver guide. You have an exciting day ahead! First, stop at the shimmering and undulating titanium waves of Frank Gehry’s masterpiece museum- the Guggenheim Bilbao. You will enjoy a free morning to see this exceptional contemporary museum on your own. See prime examples of Pop Art, Minimalism, Conceptual Art and Arte Povera. A phenomenal lunch will be waiting for you at the mythical gourmet Azurmendi restaurant just a short 20-minute drive east of Bilbao. Not only can this three Michelin stars restaurant boast the best example of signature cuisine in Biscay, but the building itself is also another masterpiece; built into a hillside surrounded by vineyards and eco-friendly – prioritizing sustainability. You will experience a wide variety of their exquisite dishes in your tasting menu, most likely including; Marine turnip with herbs emulsion, Oyster tartar and seaweed traces, Roasted Lobster, Iberian stew and whipped butter, Pigeon duxelles, and legume flowers. Finishing with some divine Petit Fours which might include Passion and coconut or Black olive, sheep milk and cocoa. All paired with local Riojan wines. After lunch, drive south to the La Rioja wine region, stopping in the beautiful medieval village, Sajazarra. You will undoubtedly appreciate a digestive walk, and what better than whilst taking in this stunning, historic village with ogival arches in its walls. Take time to explore the impressive 14th Century castle or the Church of La Asunción from the 12th and 13th centuries with its image of the Virgen de la Antigua inside. It is then just a short 15-minute drive on to Cuzcurrita, where you will check into your charming inn, Teatrisso. A 17th-century house which has been beautifully restored into a gorgeous boutique hotel. Each room individually decorated, taking inspiration from cinema, theatre, literature, and music, as in the 20s and 30s the house was used as a cinema and theatre. You will have a free evening to explore your original residence and beautiful surroundings. Bienvenidos! 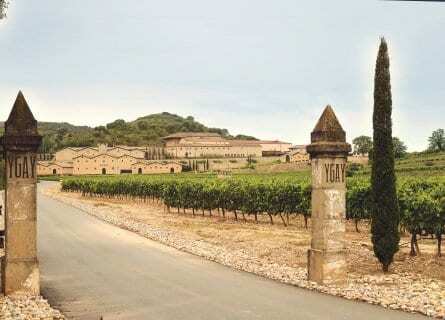 This morning your chauffeur will collect you for a short drive to your first vineyard visit of the day – La Rioja Alta. Probably one of the most heard of Riojan wineries, situated in Haro’s historic Barrio de la Estacion (station quarter). Family run, the current chairman is the fifth generation to run the business. They proudly offer a great tasting experience including their famed Viña Ardanza and Viña Arana, Gran Reserva 904 and Gran Reserva 890 whilst enabling you first hand to experience the magic of “living wine”. Moving on, less than half a mile up the road to Bodegas Bilbainas. Take in the breathtaking views, before enjoying your second tasting of the day. Soak up the rich history whilst sipping on some of the best examples of this Bodega; Viña Pomal Selccion 500, Reserva and Viña Zaco. You will be pleased to know that lunch is next, and you are in for a treat; a gourmet lunch with wines will be served for you at the breathtakingly beautiful El Claustro restaurant in the Los Agustinos Hotel. 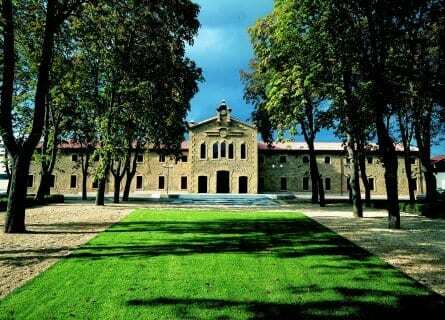 Within the walls of this Augustinian monastery, you will sample dishes that perfectly unite tradition with innovation. Some examples might include Roast Suckling Pig Confit with Iberian Ham Sauce, Castilian Roast Lamb with Sautéed potatoes. The desserts are to die for, but equally, you might prefer to enjoy your wine with the northern Spanish Cheese assortment. After lunch, you will visit the wine bar at Muga, another spectacular winery and here you can enjoy a delicious “digestivo” and take a few photos before moving onto the Dinastia Vivanco Wine Museum in Briones, just a short 15 minute drive away. This is a unique experience and well worth a couple of hours of your time, as here they have captivated and presented beautifully the history of wine and man over 8.000 years. If you feel like you can manage a bit more walking, take a stroll around the idyllic medieval hamlet of Briones itself. The evening is yours to relax and enjoy in your charming inn, Teatrisso or further explore lovely Cuzcurrita. 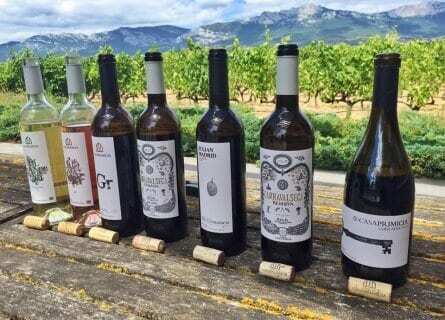 This morning, at about 10:30 a.m. once you have enjoyed a leisurely breakfast, your driver will collect you and take you a few miles east to the stunning Bodegas Hermanos Pecina, located in the heart of La Rioja Alta. Relatively new on the scene, the winery only having been built in the 90s, however, the proud owners found the perfect spot to produce quintessential, velvety Rioja. After a tour with some breathtaking views, you will taste some of their finest creations, for example, white Señorio de P. Peciña and red Señorio de P. Peciña including the Crianza, Reserva, Gran Reserva, and Vendiminia Seleccionada. By now you will have worked up an appetite and what better way to satisfy this than with a home-cooked lunch at Cupani in San Vicente de la Sonsierra, one of La Rioja’s most picturesque villages – dominated by a castle. This historic winery, with its vaulted stonework and ancient cellars dating back to the 16th century, produce artisan wines that are superb, smooth, modern-style, fruity and elegant. After a visit with the owners themselves to this very charming, boutique wine estate, a home cooked lunch follows, paired with their estate wines, naturally. An intimate and quite noncommercial experience. Lunch will likely include Patatas a la Riojana- Rioja style potatoes, Chuletillas al Sarmiento con Ensalada Verde – baby lamb chops cooked over grape vines followed by Flan de café. And washed down with Rielo, Cupani, Cupani Garnach, and Sir Cupani. Mid-afternoon after your long, leisurely lunch, your driver will take you on to the hill-topped village of Laguardia. Once a best-kept secret, Laguardia has finally begun to receive foreign visitors as the word has spread how cute this little hamlet is! You will see for yourself and enjoy some free time here to take the beautiful walk along the ancient walls, check out some of its wine and gourmet shops or have an aperitif in the main plaza. From the panoramic lookout point in Laguardia, you can see Santiago Calatrava’s Ysios winery below in the valley and vineyards panning out for miles in all directions. In the early evening, your driver will take you to your hotel, another charming inn, Los Parajes to freshen up before dinner. Eat a hearty breakfast and then lace up your comfy, sensible footwear as this morning you’re going hiking in the vines! This circular trail that starts and finishes in San Vicente de la Sonsierra enables you to walk amid the vineyards. San Vicente de la Sonsierra or Ábalos, among other places, has an unusual concentration of wine presses dug out of the limestone rock, remains of a burial ground dating back to the Middle Ages and hermitages such as Santa María de la Piscina. At about 2 p.m. your driver will take you to Casa Primicia, the oldest building in the town of Laguardia. After many years of restoration on both the historic house and cellars, Casa Primicia proudly stands with all its medieval glory. Here you will be greeted by the owners and will be totally blown away by the down to earth welcome you receive, your hosts will take their time to make you feel at home over a wonderful wine barbecue accompanied by some of their finest productions including; Blanco Fermentado en Barrica, Rosado Casa Primicia, Crianza Carravalseca (ecológico), Julián Madrid Reserva de Familia. After such an energetic day you will appreciate a quieter afternoon to visit charming local villages, such as picturesque Abalos. When you are ready your chauffeur will return you to your charming inn, Los Parajes, for a relaxing evening. What a treat you have in store today for the finale of your La Rioja tour! Your chauffeur will collect you at about 10 a.m. and you will head south-east, a brief 30-minute drive to the fabulous Marques de Murrieta winery. This is one of the oldest and rightfully prestigious bodegas in La Rioja Wine Region, whose dreamy little castle has just been refurbished (after a multimillion euro project). Murrieta is known for being one of the most traditional wineries in the region, with the wines spending longer than average time in oak, and noted for their acidity. The setting is gorgeous, as is the amazing tasting room where you will feel like royalty and have the opportunity to taste such delights as Marqués de Murrieta Tinto Reserva, Capellanía Blanco Reserva, and Marqués de Murrieta Tinto Gran Reserva Edición Limitada. Lunch follows and is a fun, light-hearted affair- a tapas crawl on the famous Calle del Laurel, just a 15-minute drive away in central Logroño. The street is packed with little tapas bars, and in admirable communal spirit (avoiding any potential competition) each bar specializes in two or three dishes, making a “tapas crawl” a necessity to enjoy the variety. Delicacies that you might find include; chistorra (chorizo with sweet paprika and garlic), setas (wild mushrooms cooked in garlicky butter), navajas (razor clams) or almejas (juicy clams) and txangurrito – a fishcake of crab and shellfish with a rich béchamel. After lunch head to your luxurious design hotel at the Marques de Riscal winery. Your chauffeur will leave you here in plenty of time to explore this fascinating hotel and spa before getting ready for a gastronomic dinner at the hotel eatery. The Marques de Riscal Hotel is another masterpiece by Frank Gehry where design, art, gastronomy, and wine meet for an unforgettable experience. Executive Chef Juan Bautista Peñas leads the Michelin star awarded restaurant. Here you will see how inspiration is taken from traditional Riojan style tapas and dishes, presented in a mouthwatering, innovative, ultra-design way that never ceases to amaze. Not forgetting the superb Marques de Riscal wines served to complete the experience. A real highlight on this tour! Based on when your departure flight is, your driver will take you to the airport. We hope you have enjoyed this luxurious food and wine tour in La Rioja! My husband said, “…can we take a Cellar Tour of the world?” 🙂 The vehicle was beautiful; Jose was wonderful — charming and personable and readily gave interesting descriptions of the local areas we visited…when we weren’t dozing in the extremely comfortable car between winery tours. The Marques de Riscal Hotel was amazing…a real visual treat. To be surrounded by such a beautiful setting, I didn’t want to close my eyes…except that the accommodations were so comfortable and relaxing! The isolated setting was very peaceful, and the staff cheerful and friendly. Etxebarri restaurant was another gorgeous setting with incredible food. I also wanted to mention what a great resource the Pre Tour information packet was. Would definitely recommend Cellar Tours after this experience!